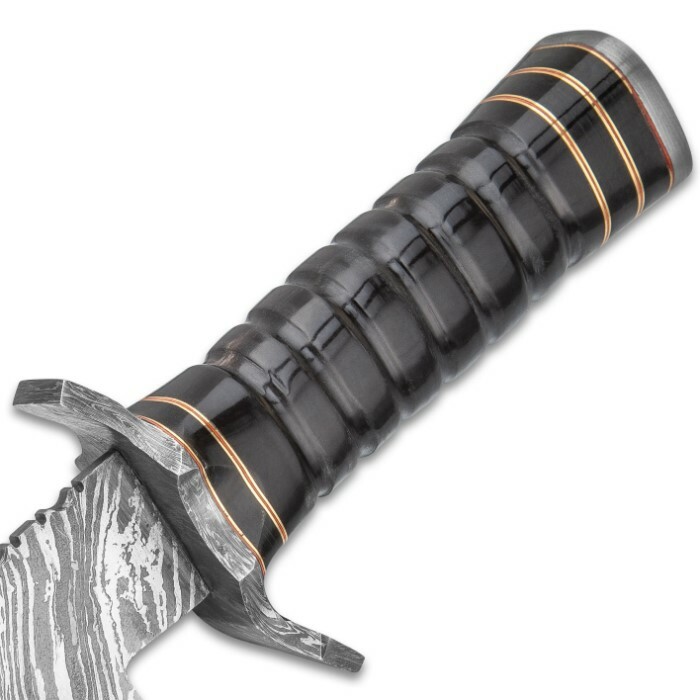 Timber Wolf Tomb Raiding Fixed Blade Knife And Sheath - Damascus Steel Blade, Buffalo Horn Handle - Length 14 1/4” | BUDK.com - Knives & Swords At The Lowest Prices! 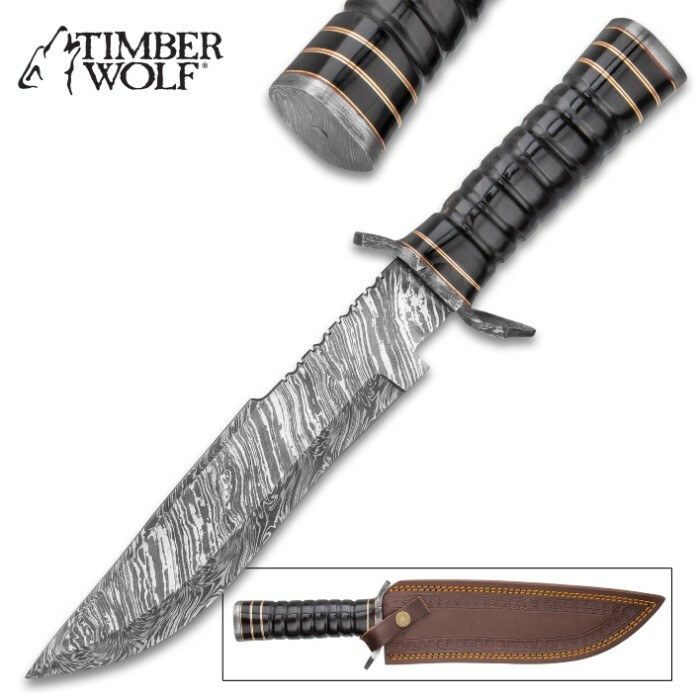 The Tomb Raiding Knife from Timber Wolf is up to facing challenges all over the world or at your local camping spot! Whether you are hunting treasure or cutting kindling, this beefy fixed blade has you covered. 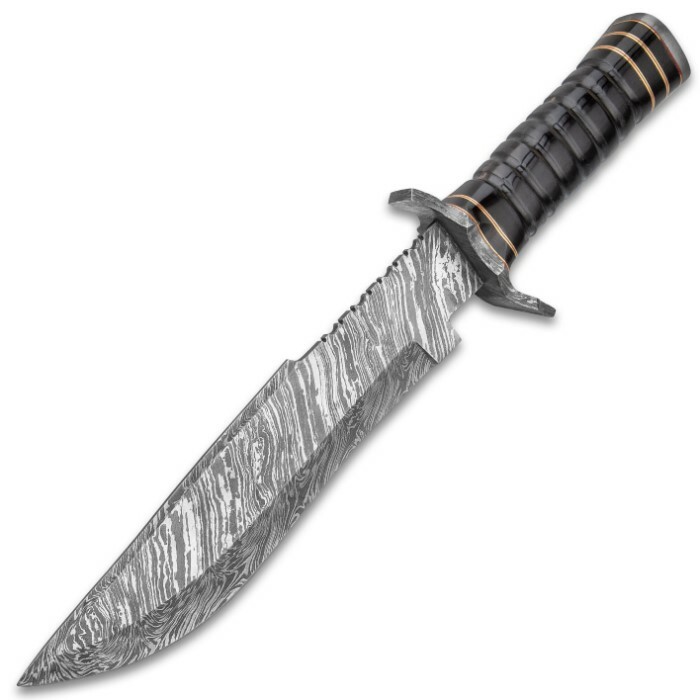 It has a keenly sharp, 8 3/4” Damascus steel blade with a fire pattern that complements the Damascus pommel. 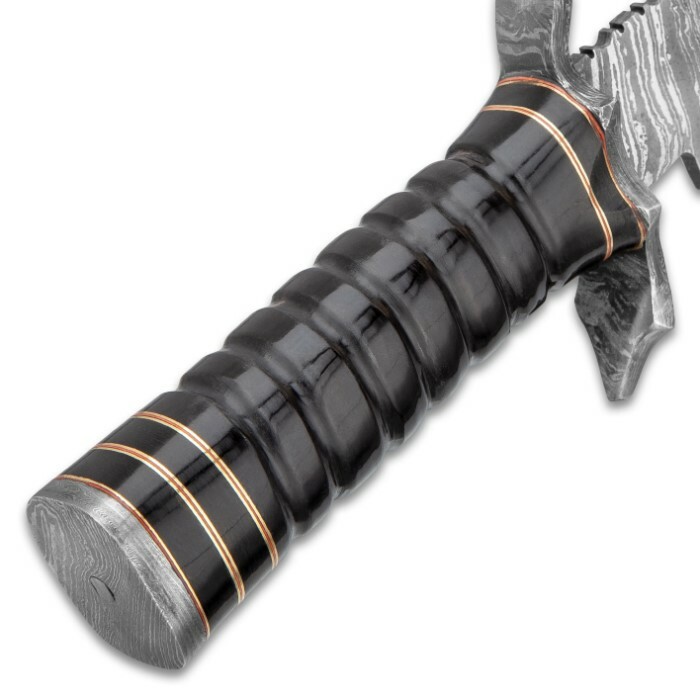 The deeply grooved handle is crafted of genuine buffalo horn, accented by red and brass spacers and the handguard is aggressively designed. 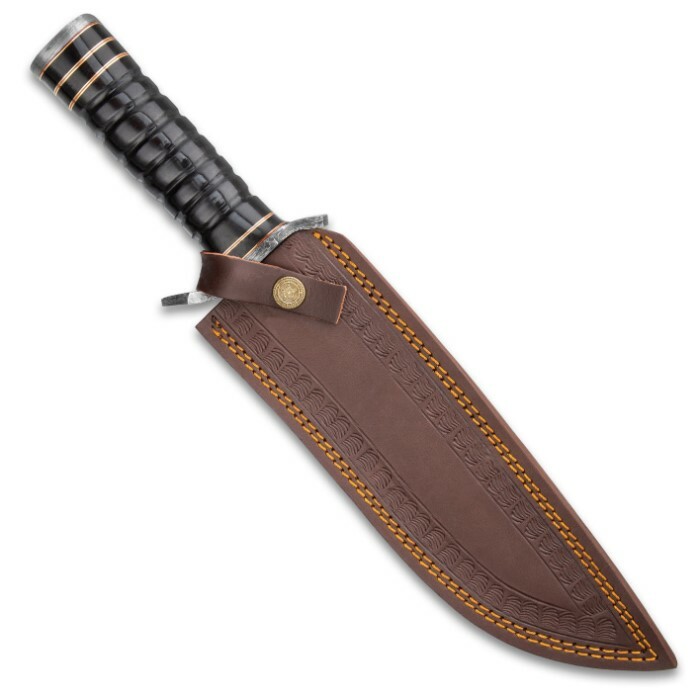 The overall fixed blade knife slides smoothly into a genuine brown leather belt sheath with decorative top stitching.